Laos is a small, mountainous, landlocked country in southeast Asia, characterized by a tropical monsoon climate with a humid hot rainy season from May to October, and cooler temperatures from November to January. 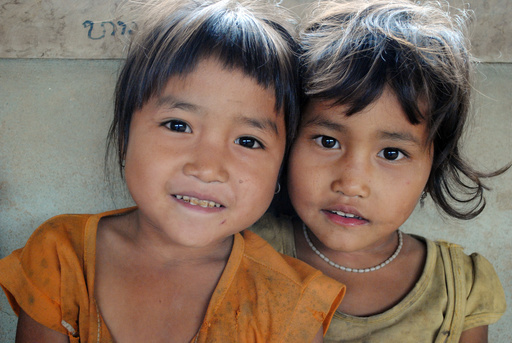 In the rural regions of Laos, many families cannot afford to send their children to school or do not value the importance of education. Many children therefore do not go to school. This particularly affects girls from ethnic minorities. Less than half of these children attend any secondary school. Particularly in rural areas, high schools are difficult for children to reach as they are often far away. The journey on foot is often fraught with danger and there is a shortage of school buses. In the project region Pak Tha, this meant that many children who were not able to manage the long journey to school every day were living in small provisional huts during the week with no water supply and no toilets. It was particularly difficult for the girls to cope with the poor hygienic conditions and sometimes dangerous situations. For this reason, a number of children were not sent to school by their parents at all. Within the scope of this project, Plan built six new residence halls for three high schools in the project region, and equipped these with the necessary facilities. This provided safe and child-friendly accommodation for 180 students, thus allowing them to fully concentrate on learning. Three residences for girls and three residences for boys, each of which can accommodate 30 children, were built and equipped with kitchens, sanitary facilities, bedrooms and an intact water supply system. Accommodation was also provided for one teacher in each residence hall who supervises the children and acts as a contact person for questions. This means that children in the project area now have the opportunity to attend secondary schools located far away. The children, their teachers and representatives of the project community were fully involved in the project planning from the outset which meant that they could contribute ideas to make sure the new residence quarters reflected their needs. Both the students and teachers became actively involved in further project activities and helped, for example, with the creation of gardens. The project ran from January 2011 to February 2012. Arthrex donated € 112.000,00 Euro in total. By working together with the local authorities, Plan developed a strategy for ensuring the long-term success of the project. This stipulated that dormitory places were to be assigned to children fairly based on their individual needs, and that they were entitled to free accommodation. The education authority of Pak Tha has assumed responsibility for administration and maintenance of the residence halls. The project has improved the educational infrastructure in the region and has therefore given the children a perspective for their future careers.